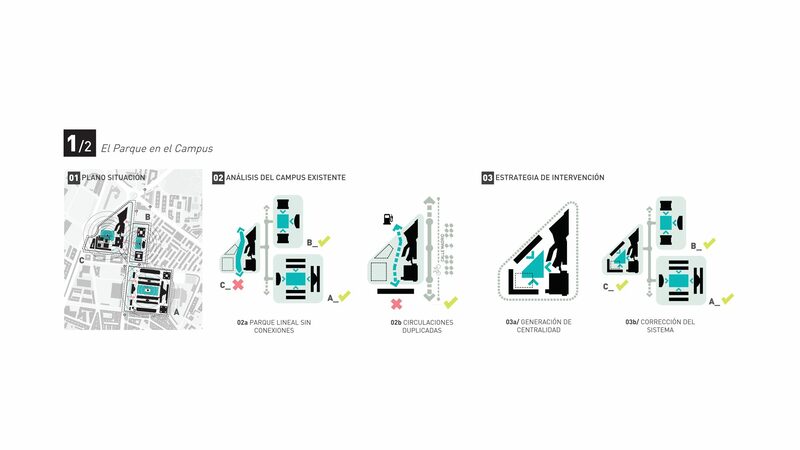 Madrid Street defines an organizational urban axis that connects the different academic buildings of the Carlos III University. 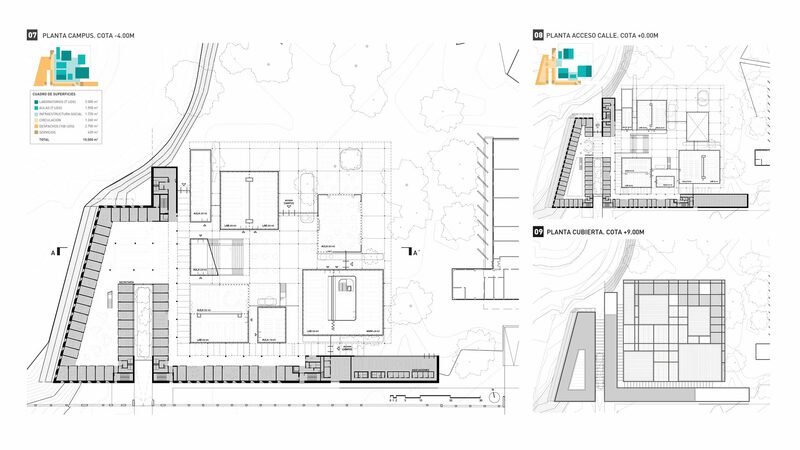 Blocks A and B, already consolidated, define an eminently outdoor space with static interior spaces that offer a refreshing programmatic alternative with spaces for rest and social encounter. 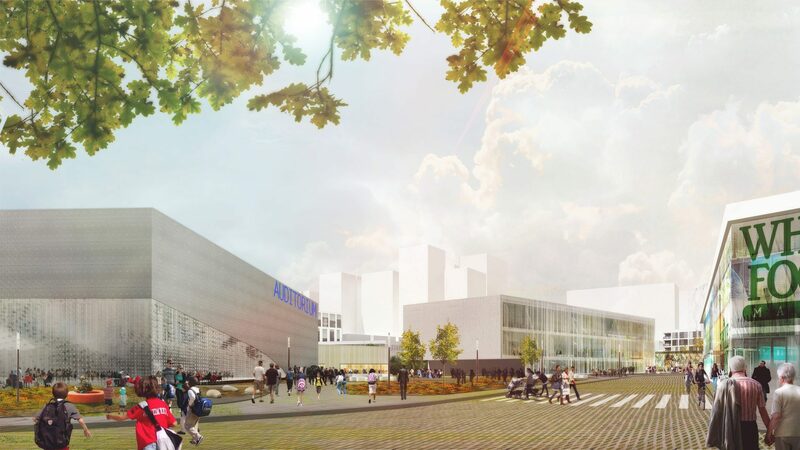 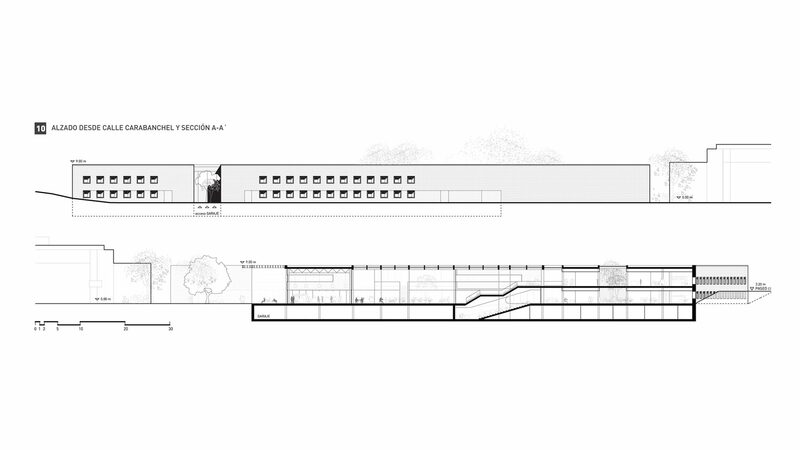 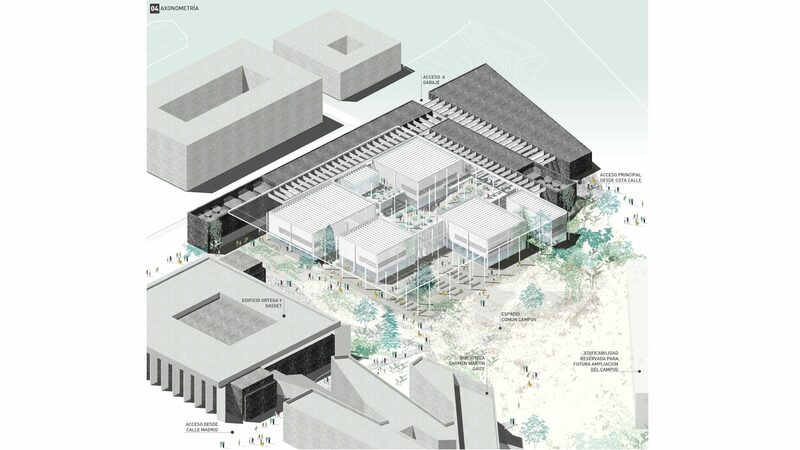 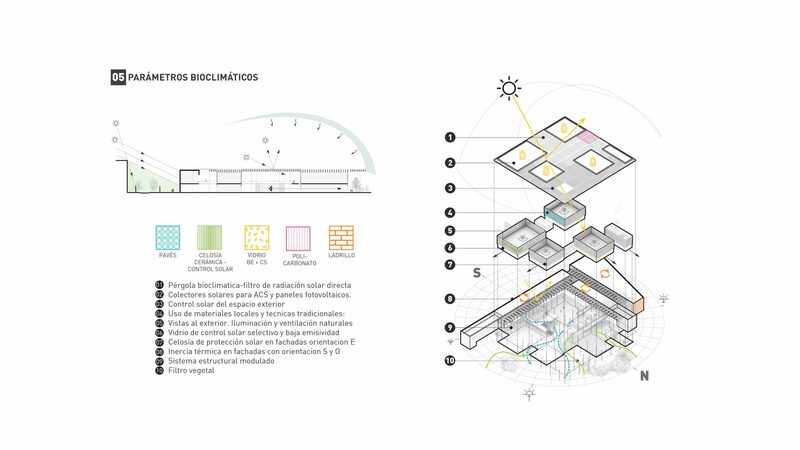 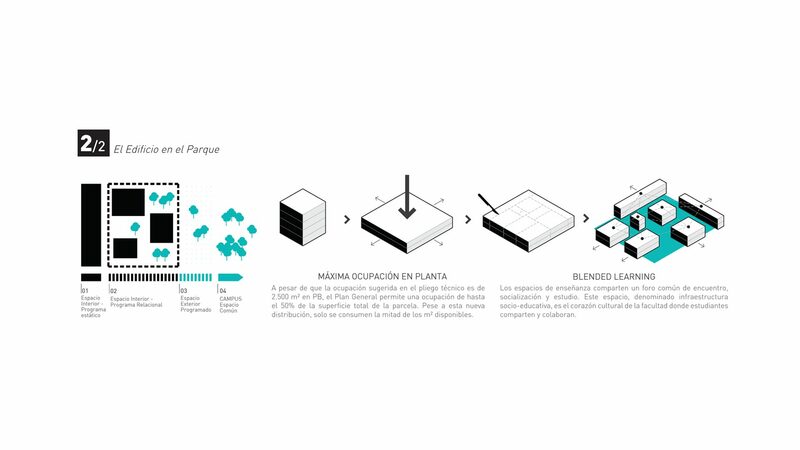 The project proposes a similar rethinking of the C block, using the new Faculty of Biomedical Sciences as a tool for the urban consolidation of the entire block. 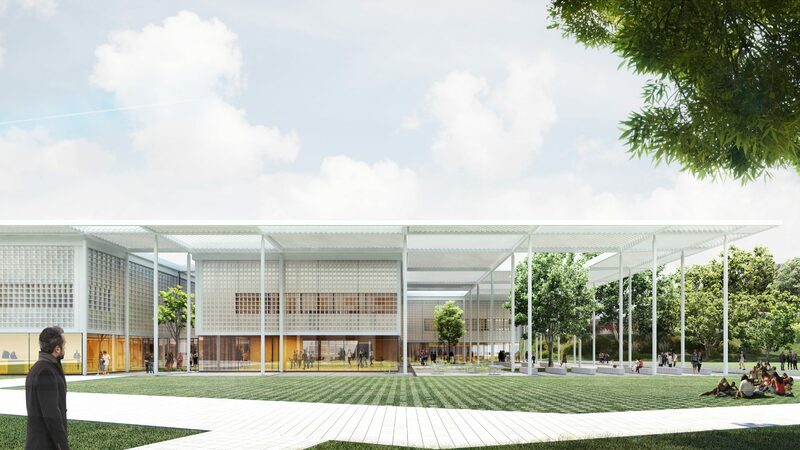 This is achieved through the creation of an interior space connected to all the main academic programs generating a dynamic and flexible environment. 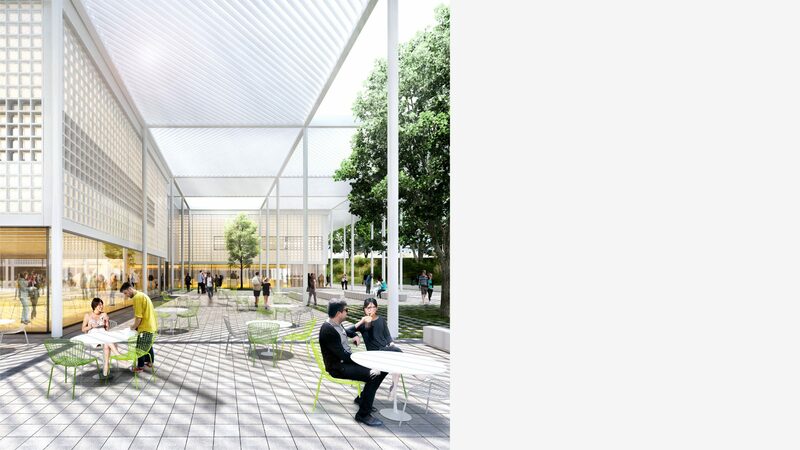 A large roof canopy is used as a light filtering mechanism, sifting sunlight to academic and other interior spaces. 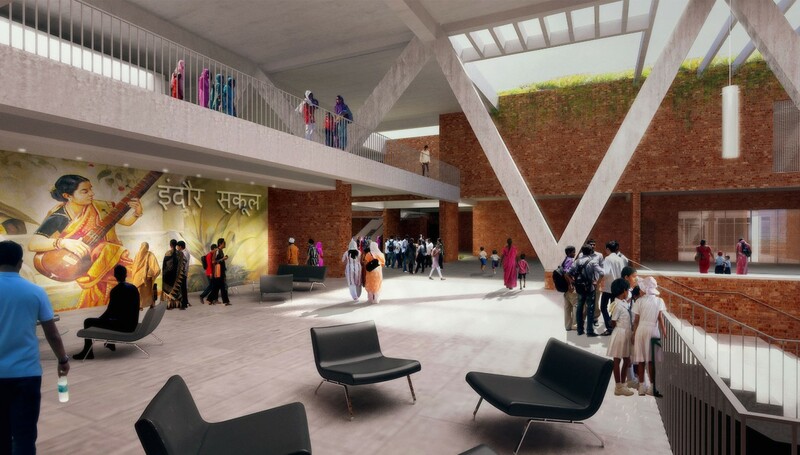 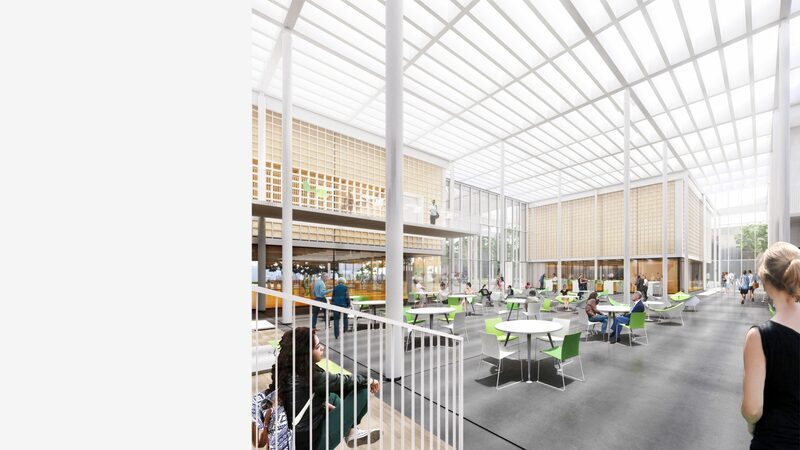 The canopy also articulates the connection between the vibrant interior spaces of the school and the rest of the campus. 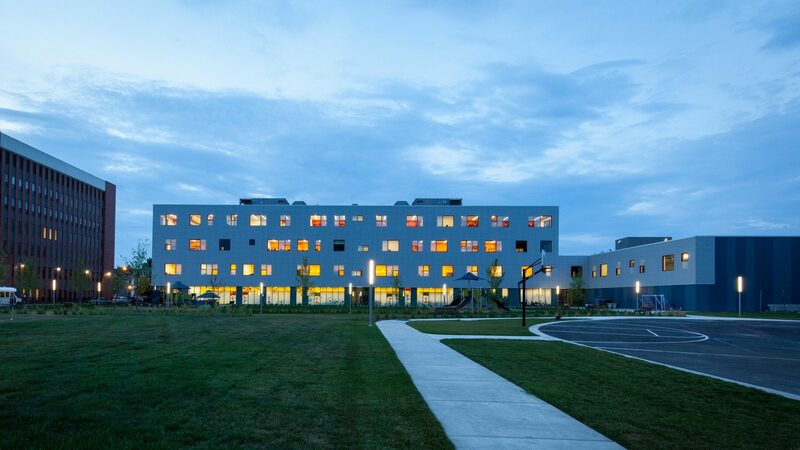 Consistent with the urban context the building exterior walls are made of brick at the south and east facades establishing a respectful and coherent dialogue with the project’s immediate surroundings.